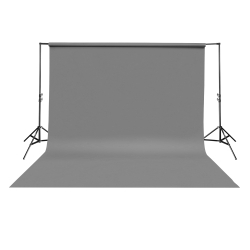 Every photograph is familiar with this situation: the main motif is perfect, but the background doesn´t suit somehow. 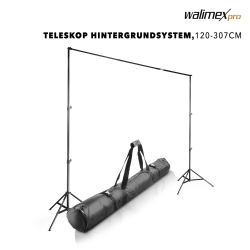 The Telescoping Background System from walimex pro makes the best of it. Thanks to this item, you will not just get a perfect motif quickly, but also the suitable background (cloth or paper) in a flexible and spontaneous manner. 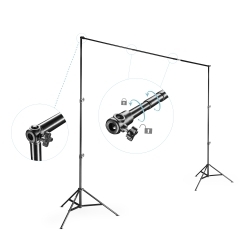 The telescoping rod is variable extandable between 120cm and 307cm and therewith much better than other pluggable systems. 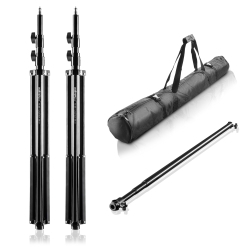 Two sturdy and height-adjustable tripods (109cm up to 256cm) provide a secure stability. 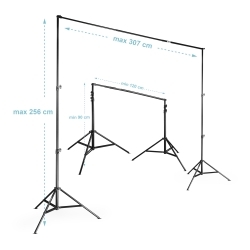 The tripods can be used as lamp tripods, with a heigth of 256cm, you can work effectively. 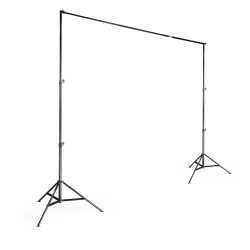 As for the classic backround system, the tripods can handle all common sorts of backround material. 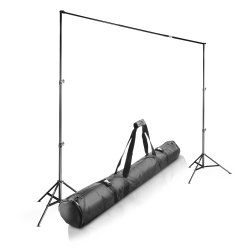 With the transportation bag you can carry all the elements covered in the backround set. 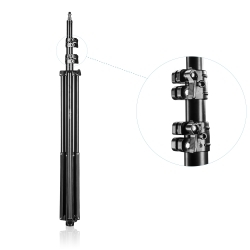 The tripods itself are lacquered so they`ll provide protection from scratches and bumps.